Can You Ever Forgive Me?, 2018. 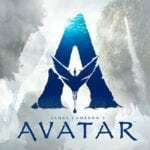 Starring Melissa McCarthy, Richard E. Grant, Dolly Wells, Ben Falcone, Gregory Korostishevsky, Jane Curtin, Stephen Spinella, Christian Navarro, Anna Deavere Smith, and Kevin Carolan. There are quite a few reasons the sophomore effort from director Marielle Heller (who instantly cemented herself as a must-watch filmmaker with her fiercely bold examination of a taboo sexual relationship between an unconfident and shy 16-year-old girl and her manipulative stepfather with The Diary of a Teenage Girl, a piece that made electric use of newcomer Bel Powley marking her as another equally impressive up-and-coming name to watch. It’s underrated, underseen, and absolutely deserves any moviegoer’s time), a character study analyzing celebrity biographer Lee Israel (Melissa McCarthy in a darkly comedic role that funnels her crude and off-putting outspoken attitude into something more dialed back but distinctly her brand of material, all shaping an intriguing individual seeking validation as a writer and an escape from loneliness). Surprisingly, there’s not just the usual enjoyment to be had from the glorification of criminal activity, but an understanding of the reasons that drive her to commit forgery fraud, which doesn’t only stem from paying the bills. Whenever Lee is selling one of these embellishments to a local literary establishment that might be interested (these documents range from altered written letters already in her possession but spiced up to increase their value, to later on when she finds herself deep into this shady business, carbon copies of stolen archives), she’s certainly nervous about getting caught but there’s also a layer of pride in that her own writing is fooling those familiar with the original source. Part of that pride comes from vindication; she knows that she is a qualified writer but is unable to get funding advances on her biographical books mostly because her subjects are for a niche audience. Simultaneously, she vents bitterness towards a revered author such as Tom Clancy raking in millions for whatever his next right-leaning terrorism story might be. Not only that, but gender politics are also at play. Essentially, a shady method to keep the lights on and her only true friend in the world fed, her cat, becomes an artform; people are buying letters from other prolific writers, but really, it’s Lee’s work that is being purchased. It’s also fascinating that someone who is a loner (even if their behavior is likely one of the major reasons) can quickly amass new contacts and friends from what others perceive to be letters written by famous people. Suddenly, Lee has something that a specific demographic wants and is willing to pay a lot of money for, but again, it’s not just about the money for her, but also the newfound social interaction that comes with that. As you can expect, some characters begin to take advantage of this (Richard E. Grant plays an eccentric and flamboyant longtime friend that soon becomes Lee’s confidant and partner), while others share a sincere desire for her to critique their writing and give constructive feedback. 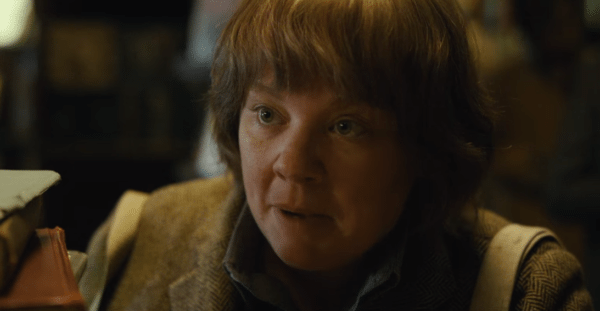 It goes without saying, but this is arguably the most complex and layered performance Melissa McCarthy has ever given. Often, she is unable to maintain eye contact with those around her, whether they are accepting of her or belittling her (and I don’t just mean in situations where she has something valuable to sell), as if she is unworthy and a failure. Truthfully, she did have talent, but like most writers even living today, finding a home willing to support and publish that work along with a caring readership is akin to climbing Mount Everest. Also, some of her success goes right to her head, pushing away Jack (Richard E. Grant, who might be a little bit too showy but is nonetheless outstanding as someone both supportive and shady) and turning her back on those that actually like her. Mix all of this with Melissa McCarthy’s natural comedic timing and you have one hell of a tragicomic performance. Can You Ever Forgive Me? does somewhat outstay it to welcome during the middle portion, largely free of conflict and occasionally feeling repetitive as Lee sells more and more forgeries. Thankfully, Marielle Heller (and the script from Nicole Holofcener and Jeff Whitty, who are fortuitous enough to use Lee’s own book detailing the events as a guideline, but oddly enough is not actually credited) never let this get boring, always revealing more and more about Lee and Jack with every dialogue exchange. That’s also accounting for a subplot with a former love interest that feels underdeveloped more than anything. Still, when the FBI starts coming down on her, the film becomes more urgent and contains serious plot developments that flesh out these characters in more engaging ways. It would be untrue to say that the movie ends abruptly, but I certainly wouldn’t have minded spending more time in the closing moments. 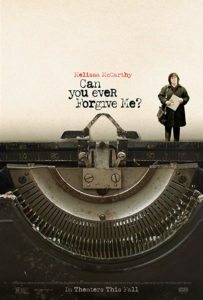 It doesn’t take a writer to be able to connect with Can You Ever Forgive Me?, although it certainly helps, as it’s more a study of isolation and loneliness can do to a person. One can’t help but wonder if Lee would have eventually gone down this path even if money was coming in fine. Obviously, she went to jail for this, but it’s a telling sign that she was more concerned about if people knew what she had done rather than how much time she was looking at. Marielle Heller has once again constructed a fascinating character portrait that requires multiple viewings to truly appreciate the depth of its central figure. 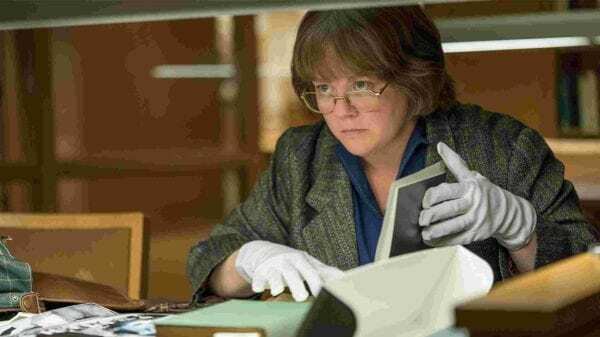 As for Melissa McCarthy, well, I forgive you for The Happytime Murders and then some.